Recognise the face, but can't recall the name? Spotted an interesting car, and want to talk to the owner? Here's a guide to the Phoenix gang, in alphabetical order of first name. Note: If you are featured here and would like your details to be updated, or you're not here but would like to be, then drop me a line. If your picture is missing then either make sure you're at a meeting when I have my digicam to hand, email me a small JPEG, or bring a photo that I can borrow and scan in. Car is a SuperLight R.
Andrew's car has a Swindon-tuned Vauxhall engine. Car is a 1.6 K-Series SuperSport. Car has a Cosworth BDR engine. Brian returns after a few years of absence with his fourth Seven, an 1800 VVC K-Series. Daren uses the Seven as his main car. His claim to fame is wearing out a set of four Yokohama A032R's in 2000 miles! The car is a not-very SuperLight with an 1800 K-Series SuperSport engine. Car is a BRG 1.6 SuperSport with an anniversary stripe and front wing tips in yellow. Car has a tweeked Cosworth BDR engine. Car is a 1700 SuperSprint in dark green. Car is BRG 1700 SuperSprint with a yellow anniversary stripe. It's a blue ex-race car with all the tasty gadgets and an 1800 K-Series engine. Nobody cares what Eric's car looks like, but everybody wants to be his friend - look who he hangs out with in the pit lane! Car is a 1.8 K-Series on throttle bodies, and is Jason's main car. Car is a 2 litre Vauxhall. Car has a 1.8 VVC K-Series engine. Although he now lives near Aylesbury, Nigel still pays us the occasional visit. Car now has a 2.0l Zetec engine. Car is a 1600 K-Series SuperSport. Car started as a 1600 Sprint, but now has a lovely 2.0l Zetec engine. It also used to be done up in classic BRG / yellow, but it's now resplendent in silver and red. Ray was crowned as Area Organiser of the Hants (North) & Berks group in June 2006. Car is a 1600 K-Series SuperSport. 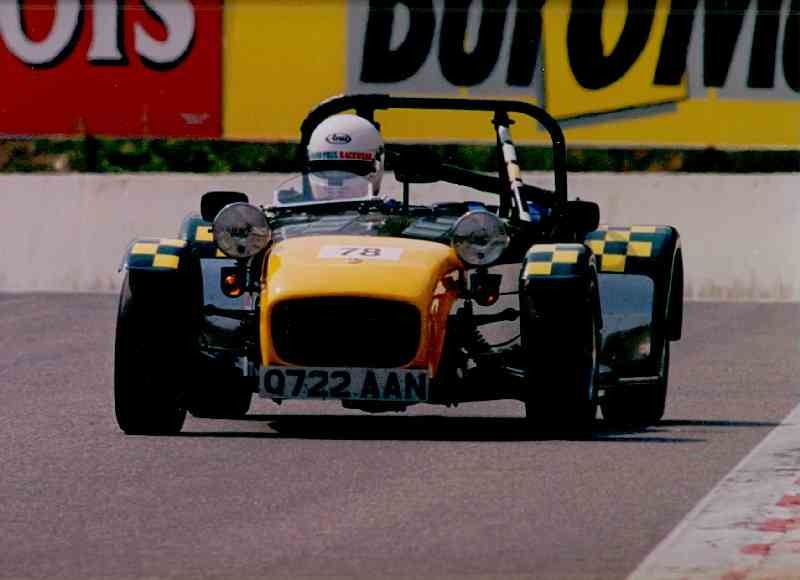 Rory competes in sprints, hillclimbs, and plain old circuit racing. Car is an 1800 K-Series with 6-speed box. It's mainly used at weekends, but Roy plans more touring next year - he's already done the Sevens mailing list Scandi2000 tour, and several track days. 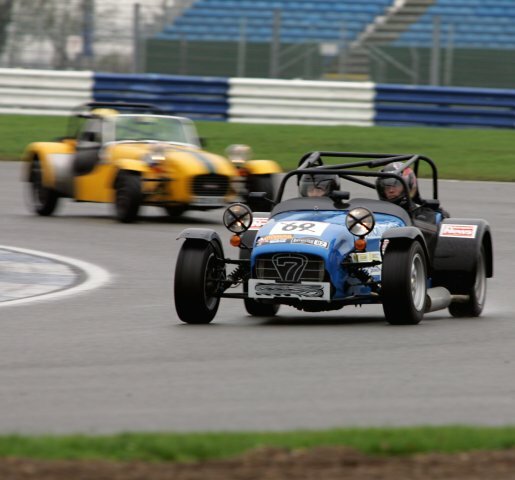 Simon started competing in sprints and hillclimbs, and has now progressed to circuit racing. He's an ex-area organiser, but his job has now taken him away from the group. Steve is the most recent ex-Area Organiser of the Hants (North) & Berks group. Car is an HPC with a 2.0l Vauxhall engine, now on throttle bodies. Steve made his race debut in 2002 and won the Goodridge John Taylor championship at Lydden Hill. 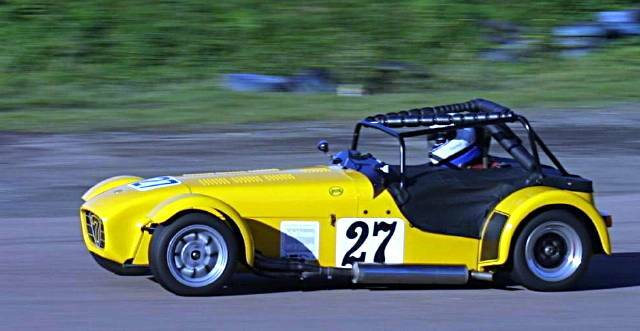 Steve's car is a 1979 Caterham and has recently undergone a complete rebuild, now sporting cycle wings, 5 speed gearbox, Kawasaki green paintwork and a generous helping of carbon fibre. Not bad for a 25 year old car! Car is green with a yellow anniversary stripe. This page is http://www.strangely.org/7club/who/index.html. It was first published on Sunday 5 January, 2003 and last updated on Monday 19 June, 2006.